We have so many young people wanting to join our group we need more volunteers! Our Leaders are just ordinary people like you. But they make extraordinary things happen by working together as a team. Do you want to be part of that? 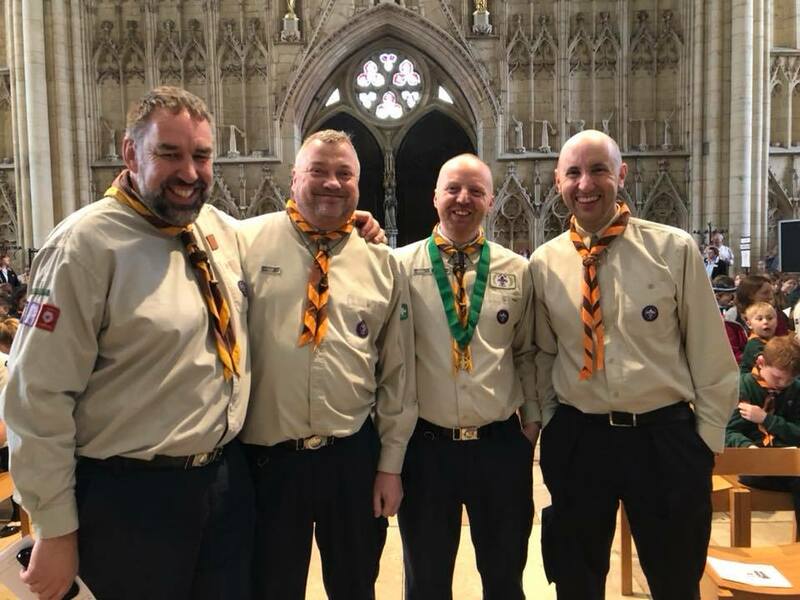 We are a great team of people who need some extra support to make sure the Scouting we give to our young people is fun and exciting. In Scouting, we believe that young people develop most when they are ‘learning by doing,’ when they are given responsibility, work in teams, take acceptable risks and think for themselves. Scouting provides therefore safe opportunities for young people to have fun, challenge and excitement through taking part in a huge variety of activities and new experiences. Volunteering with us is easy, fun and flexible – how much time you give is completely up to you. Whether you help out once a fortnight, month or term or just at special events or camps, there is bound to be a role you can play, and no matter how you get involved, we’ll make sure you’re properly trained and supported. For more information please complete our contact form. Click here for a quick guide to the roles available. We would like someone who can help to run games and activities and to join us on outings and events. Someone who wants to make a difference in their community. 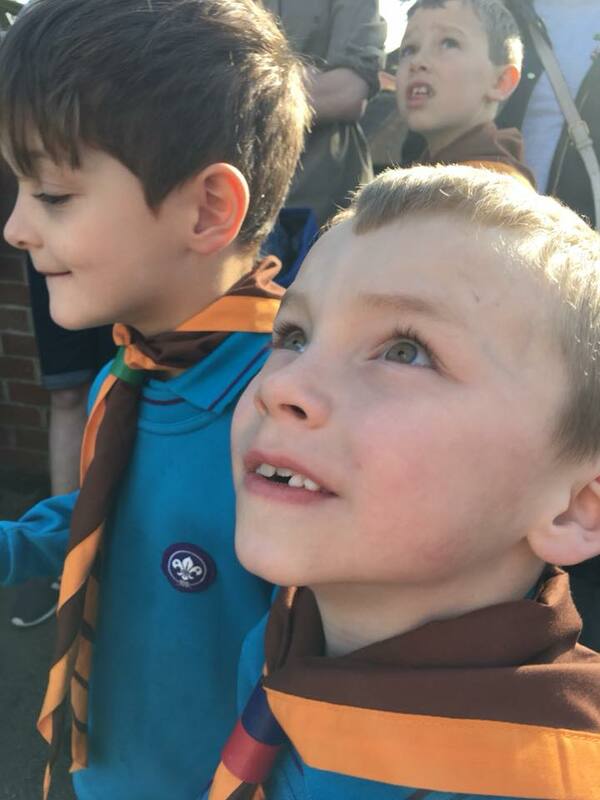 Scouts work towards badges and awards following a programme that covers almost every interest so there is always a different activity going on! And the best part is that the kids are proud to be a Scout and earn their awards. Support and training is available and encouraged for all adult volunteers. An ability to communicate with young people of the relevant age range and a sense of humour are all that are required! If you can’t make a regular commitment, that’s not a problem you can join our Active Support Unit. Click here for more info. You can feel part of the world’s largest youth movement. We have a fantastic team of adults with a vibrant and active social life. We all work as part of one team, helping to provide fun and adventure to over 200 young people every week. It’s great fun and give you a real sense of belonging and a lot of fun and enjoyment! Scouting is for everyone, regardless of age, gender, colour, race or religion. We aim to make a positive contribution to society by helping young people to feel empowered, valued and proud so that they can develop into active community members who are confident, self reliant, caring and who show commitment. Want to try it for size? Take our Four Week Challenge to see whether volunteering with 1st Holgate is for you. We ask all our volunteers to complete a Disclosure and Barring Service Check – keeping our children safe is our main priority. Click here to see what ID you will need to provide for the check. If you’re interested contact us for more information and a non committal chat about how you could help.